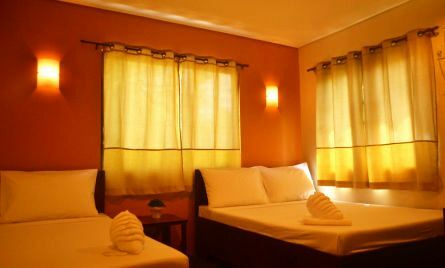 Rate indicated is valid and only applicable for 2-3 pax. The rooms and suites have been designed to meet the needs of both business and leisure travelers. All the guest rooms are equipped with modern amenities to ensure we provide guests with a satisfying stay. Thank you for choosing Calle Real Hotels! When you book with us, we ensure that the rooms you booked for your indicated dates of stay are reserved and available for you. As such, we hope you understand that cancellations/amendments affect the establishment just as much as it does guests. Your booking with our hotel signifies your full knowledge and acceptance of the terms of cancellation or re-booking as stated.Should a cancellation/re-booking take place, guest is committed to pay the resulting and appropriate cancellation charges. The hotel does not give full refund for any booking confirmed with a deposit. It is assumed that the guest has exercised due diligence in ensuring that all matters that may affect his/her trip has been attended to and the hotel has no responsibility for matters that are beyond its control. 1. Cancellations made no later than 4 months before your actual date of stay may still be cancelled but refund will be subject to an online booking charge. Balance after booking charge is deducted is what will be refunded to the guest. 2. Cancellations and amendments must be emailed to the official email address of Calle Real Hotels:inquiry.callerealhotels@gmail.com and must be acknowledged in writing by the hotel representative. The date emailed notification is received in the hotel's inbox shall be the date of reference for the cancellation. 3. Cancellations caused by force majeure events such as typhoons and grounding of flights due to severe weather conditions will be given the option of re-booking without charge for the same hotel within the same calendar year as the booking. Guest is requested to write a letter to management indicating reason for cancellation/re-booking with proof (Ex: Carrier's letter of notification canceling flights) and indicating new dates of stay. The re-booking will be scheduled on mutually available dates for both guest and hotel. *Since you're online booking only billed you 50% of total cost, this means you're initial payment is automatically forfeited as penalty. 15 days and above before arrival date - 1st night will be charged plus an online booking charge for the remaining nights. Balance after these charges are deducted is what will be refunded to guest through its head office in Manila. Major Credit cards, Visa, Master.